Maintaining a long healthy life is the ideal for everyone. The goal of a healthy body, healthy mind is key for people but it’s hard to achieve with life getting in the way. Whether it’s a hectic work life, lack of sleep, too much caffeine or too much on the go food, it all contributes to an imbalance in your gut, which takes its toll on your well-being over time. Studies show that the right amount of good gut bacteria helps to relieve those pathogens, highlighting that probiotics work to stimulate a person’s immune system. This is obviously beneficial as it helps your bodies defence against illness, inflections and potential medical complications. The building insight into gut health has identified that the gut and brain work on the same axis. What’s most interesting is that an increase in probiotics is shown in certain experiments to have removed symptoms of depression to contribute to a happier mind-set. Additional research shows that people who drank probiotic-rich beverages spent less time dwelling on the bad. Other research Other research points to the link between probiotics and lower social anxiety, illustrating the myriad mental health benefits of giving your gut the good stuff. A glowing complex is something we all strive for and probiotics is the new ingredient those in the natural skin care industry are getting behind. Bacteria works its wonders in and outside of the body but bacteria on the skin works to protect us against different conditions such as eczema. Walking around with better skin then obviously make you feel better about yourself, which again helps towards a healthier outlook mentally. An upset also known as a leaky gut is one of the biggest known causes of inflammation in the body, which often results from choosing food that upsets the gut or our go-go-go stressful lifestyles. But recent research has found that taking probiotics helps protect the lining of the intestines, reversing the effects of leaky gut and keeping inflammation at bay. Efficient digestion is vital for a healthy body and how well you digest foods entirely relies on the state of your microbiome – the microorganisms in a particular environment (including the body or a part of the body). Studies conducted in 2018 have discovered that taking probiotics help to keep symptoms of IBS at bay. 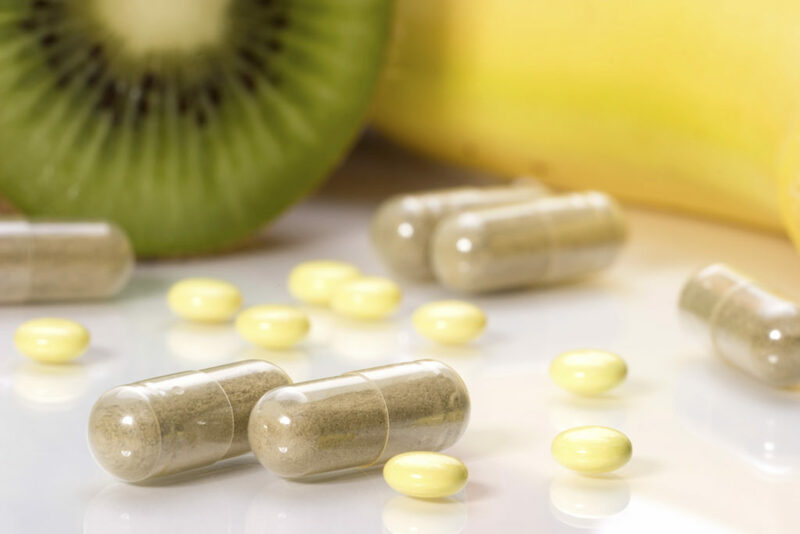 Supplementing your diet with probiotic capsules can also aid in the amount of weight loss for overweight men and women, which indicates that a better rate of digestion helps to strip fat and reduce craving. What’s not to love about them!